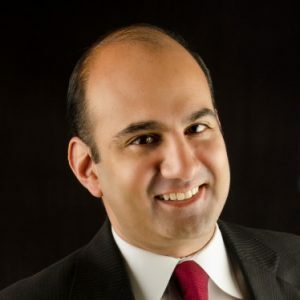 Princeton, New Jersey – Rehan Alimohammad of Sugar Land was elected chair of the State Bar of Texas Board of Directors during the board’s April 21 meeting in Austin. Mr. Alimohammad will take office during the State Bar of Texas Annual Meeting to be held June 22-23 in Dallas. He will serve as chair until June 2018. Mr. Alimohammad would become the first attorney of Asian descent and the first immigration attorney to hold the position. He is a partner in the Texas office of Wong Fleming in charge of immigration law and tax law. “We are proud of Rehan’s election as Chairman of the State Bar of Texas and I have no doubt that he will make Texas proud, too,” said Linda Wong, founding partner at Wong Fleming. Mr. Alimohammad was listed as one of the Top Attorneys in Houston by Houstonia Magazine in 2013 and 2014 and has a 10.0 Superb rating on AVVO. The Texas Junior Chamber of Commerce named him one of the Five Outstanding Young Texans in 2011 for outstanding legal pro bono service. He is heavily involved in the community and State Bar organizations and is currently: Minority Director of the State Bar of Texas, member of the Executive Committee for the State Bar of Texas, State Bar Advisor to the Texas State Bar Section on Immigration & Nationality and the Committee on Laws Relating to Immigration and Nationality; appointed legal counsel, Board Member, and team lead for the Diversity Action Team for the Fort Bend Chamber of Commerce; 1st Vice President for the Katy Bar Association; on the Leadership Task Force for the Katy Economic Development Council; current Member of American Immigration Lawyers Association; current Member of the Fort Bend County Bar Association; and current member of the Houston Bar Association serving on the Professionalism committee, the Minority Opportunities in the Legal Profession committee, and the Speakers Bureau committee. Mr. Alimohammad regularly appeared on Houston radio from 2003-2013 answering immigration questions and providing updates on U.S. immigration law. He graduated from the University of Texas with a degree in accounting and received his J.D. from the University of Houston Law Center in 2001. Wong Fleming is a full-service law firm that is headquartered in Princeton, New Jersey, with branch offices throughout the United States, including Washington, California, Georgia, Washington, DC, Maryland, New York, Pennsylvania, Florida, Tennessee and Texas. The firm is a member of the National Association of Minority & Women Owned Firms and certified as a women’s business enterprise by the Women’s Business Enterprise National Council. It is also certified as a minority business with the National Minority Supplier Development Council.